Taking a page from the book Ray Davies wrote in the '90s, Randy Bachman launched the Vinyl Tap Tour: Every Song Tells a Story in 2013, designing the concert as a guided journey through his past. He sang hits from the Guess Who, Bachman-Turner Overdrive, and his solo career, interspersing stories along the way, adding the biographical song "Prairie Town" as a framing device. 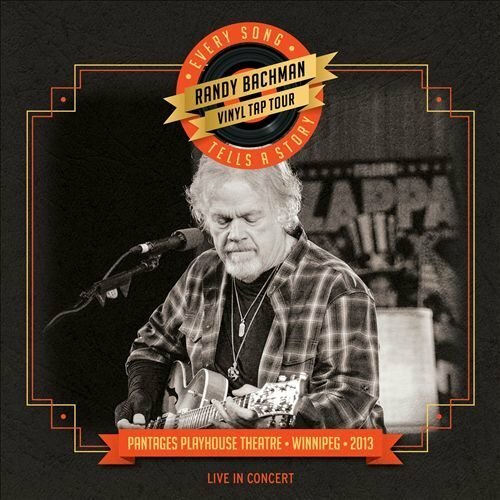 This 2014 set -- which is available in a couple of incarnations, including one that has a DVD and one that has a CD of the concert -- generally has a lower energy level than the original recordings but the relaxed vibe is part of the appeal: it's not a race, it's a nostalgic stroll with the amiable Bachman. If you're on the same wavelength as him, it's an enjoyable way to pass the time.